Installing RAM seems like one of the simplest parts of building a PC. The slots are easy to access, and the modules simple to install. There are other considerations to take into account, though, if you want to get the optimum performance from it. Take care to seat your RAM in the correct configuration, but don’t be too gentle! If you have single modules, always order them, highest-capacity to lowest, from the lowest-numbered bank upwards. However, if you have a pair of dual-channel modules, you need to keep them paired up. That means putting them in similarly paired banks, which means the two modules must go in either banks 0 and 1, or banks 2 and 3. You shouldn’t leave empty banks between modules, so this may mean putting a higher-capacity module in a higher bank than smaller, paired ones. If you’re not sure, paired banks are normally colour-coded to indicate that they’re capable of operating together, and the information should also be represented on your motherboard’s annotations. Installing the CPU is always the most delicate moment of building a PC. They’re fragile, easily damaged and expensive, so the last thing you want to do it get it wrong. If you’ve never seated a CPU before, there are a couple of quirks that might not be obvious. The first thing to be aware of is the CPU cover. This sits inside the motherboard’s CPU socket to protect it from damage, and should be removed before you try and put the chip in. It might seem obvious, but many a novice has spent too long figuring that out. It’s just an inert lump of plastic, you can throw it away. The second thing to be aware of the ‘notch’ on the corner of a CPU which indicates which way it should be seated. Miss this and you’re on a one-way trip to disappointment city, because all you’ll do is break something. Finally, be aware that - certainly for Sandy and Ivy Bridge CPUs - the fixture bracket can require a lot of force to close properly. There’ll be a certain amount of creaking and cracking, and it’ll generally sound like something’s gone horribly wrong, but that’s just the final test of faith you have to pass. If the orientation is correct and the CPU is sitting comfortably, everything’ll be fine. When building a PC, it’s a good idea to start with the essentials first, just so you can make sure they’re fine before you start installing additional hardware. Indeed, if you’re building a system from scratch, it’s a good idea to install the essentials before you even screw in the motherboard. As long as you’ve still got the space to slide the board into the case afterwards, install the CPU and attach the CPU fan before you seat the motherboard. If you like, you can put the RAM in too. This stops you from having to try and work around the immovable case supports when performing some of the more delicate installations, and is a great stress-reliever as a result. 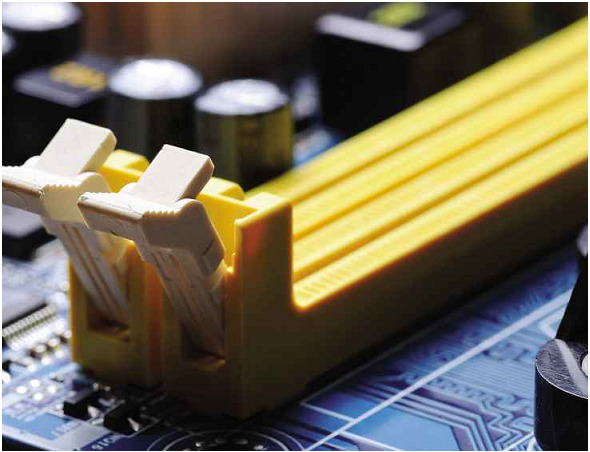 Motherboards have multiple PCI-E slots, but not all of them are as good as each other. For most components, it doesn’t matter which PCI slot they go in, because the full bandwidth is never used. Although the interface can theoretically go up to x16, it’s unlikely that every slot is wired to do so. Some will be 8x or 4x, and some may be or even lower. If you’re installing a graphics card, you should make sure it goes in a high-speed x16 slot. Normally, this is the one closest to the top (when the case is oriented vertically) but check your motherboard manual to make sure. You really don’t want to find your expensive graphics card has been running at half capacity because it’s in the wrong place! 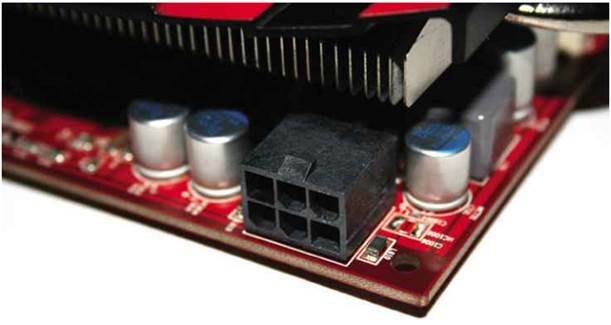 High-end graphics cards also need something most PCI devices don’t: a separate power supply. The majority of PCI devices draw power from the motherboards main supply, but if you have a particularly hefty card, it simply won’t be able to get the power fast enough that way. If you need a converter for you graphics card’s power provision, make sure one’s at hand! 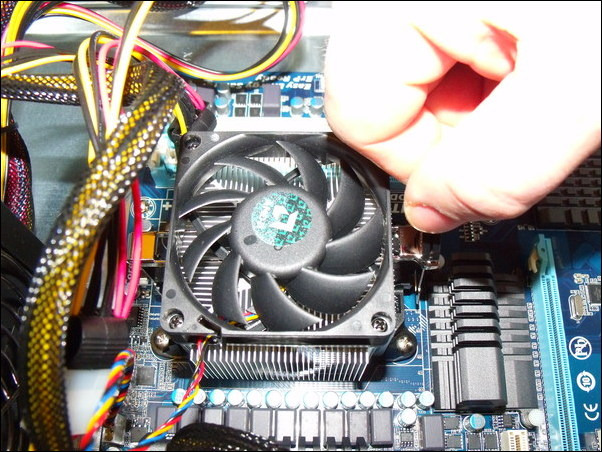 The workaround is that graphics cards can accept power directly from the PSU, using a dedicated 6- or 8-pin connector. If you have a reasonably recent PSU, these will probably be available to begin with, but certain models may require you to attach a converter to provide them. The graphics card will probably come with the relevant converter, but don’t rely on that being the case. At worst, it’ll only cost a couple of quid, but it’s really frustrating not to have one at hand when you need on, so check what plug you’ll need and whether you have it before you get started on a build! When you’re building a PC, there’s no rule that says you have to clump everything together as tightly as possible, or in certain slots (except in the case of RAM, of course). In fact, the opposite is often the better option! If you’re installing multiple hard drives or expansion cards, it’s a good idea to leave as much space between them as possible. This will give the heat generated by components more space to dissipate without negatively affecting their neighbours (and it’ll minimise potential interference, too). The colder components are, the better their performance and the longer their lifespan, so there’s no real downside too keeping them as far from one another as you can. If you have a separate exhaust fan to install, don’t just shove it anywhere – try and think about what the air inside your PC will be doing when all of its fans are switched on. For example, if you put an exhaust fan below the graphics card, it might counteract the graphics card’s fan, rather than help it. Ideally, you want the exhaust fan positioned at the top of the case (where warm air collects) with all of the other fans blowing towards it. If you have two, devise a system that ensures they’re sucking air from different places. If you’re feeling especially daring, you could even add vent holes. Good airflow keeps systems cool and efficient, so take care to manage where additional fans draw air from and where they send it! Fan and case filters probably aren’t as popular as they should be, as you’ll know if you’ve ever had a look at the thick carpeting of dust inside even relatively young PCs. It goes without saying that dust is bad for computers - it can heat them up by reducing fan efficiency, plugging vents, and acting as a layer of insulation on top of already-hot components. You should clean the dust out of a PC regularly, but a better option is to simply prevent it from entering at all. You can do this by fitting filters across fans and vents. They’re cheap to buy, and washable for easy cleaning. You may need to do a little customisation so that they fit your specific system, but it’s worth it for how much easier they make keeping your computer tidy. When installing a CPU cooler or heatsink, there’s a special trick to making sure they’re fitted properly, but’s it’s not wizardy! Quite simply, you should ensure that you install them by doing the diagonals in pairs. First and foremost this ensures that the cooler is fastened nice and tight, which also means it’s efficient in sucking heat out of the processor. If you try to install it any other way, you’ll end up with potentially loose fittings on one side that might pop out at any given moment - with appropriately disastrous consequences for your processor! 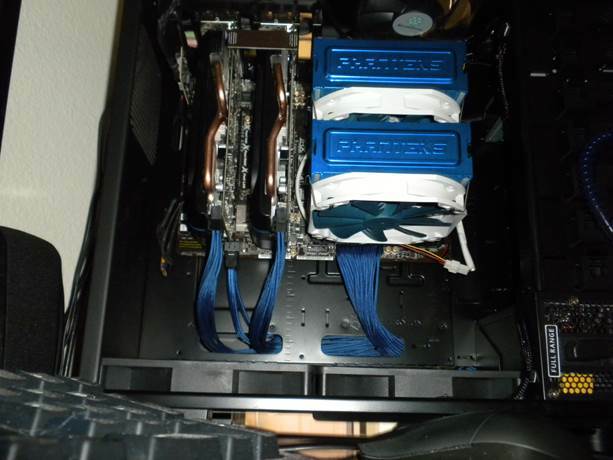 Fans are necessary for good computer operation, but they also produce the bulk of the noise in any system. If you have fans to install, make sure they’re screwed in tight to prevent the kind of noisy vibrations that can drive even the most serene computer user to the brink.. 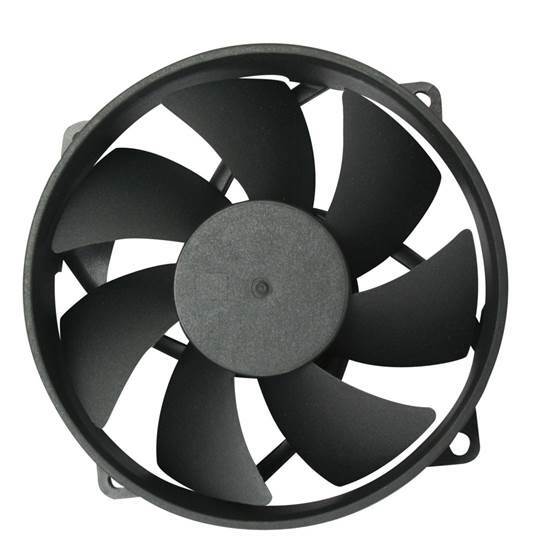 Better yet, use rubber screws or washers to absorb the fan’s noisest vibrations. You’ll have to buy them separately, but if you’re after a PC that’s nice and quiet, it’s one of the easiest ways to reduce the amount of noise a system produces. You can thank us later. Corsair Carbide 200R – “"Designed For Easy Builds"